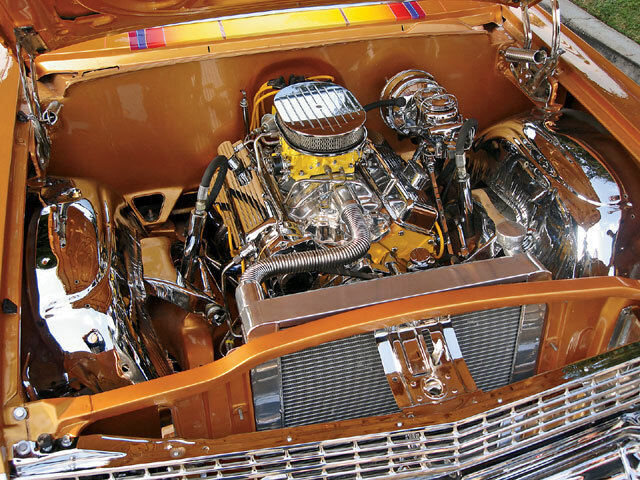 This month, we feature Eddie Espinoza’s engine out of his ’63 Chevy Impala. Eddie is originally from Orange County and the Impala was totally redone with the persuasion of his car club. The engine compartment was completely gone through and smoothed out with a shaved firewall. All of the unused holes in the radiator support were filled and the battery was relocated to the rear of the vehicle. The engine block was painted to match the car’s semi-custom paint job. 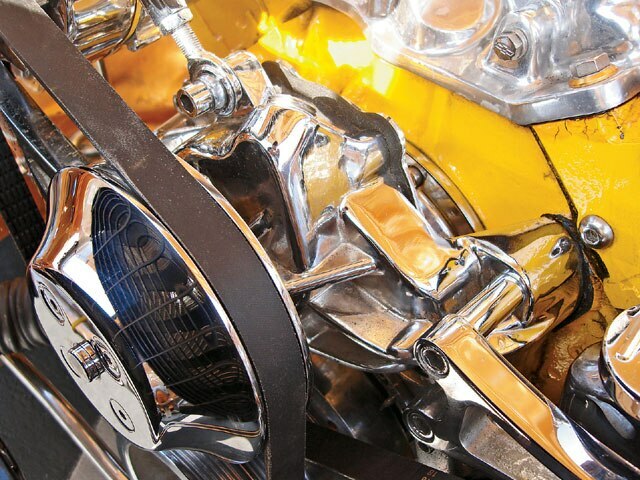 Most of the billet aluminum was sent out to the chrome shop for plating purposes and a Professional Products intake was used to upgrade the 350-c.i.d. engine. Most of the work on this engine compartment was done in Eddie’s spare time with the help of his buddy Bubba Garcia. Bubba bent over backwards on this build, which was completed in a 40-hour time period. Not too bad for a first-timer. Make sure to watch out for a full feature on this ’63 when the build is completed. If you feel that you have an engine worthy of our From The Hood section feel free to contact us at saul.vargas@primedia.com. The carburetor was painted to match the engine block.A Matson aluminum radiator keeps everything cool.An ABS master cylinder and booster power the brake system and an ABS 605 gearbox helps provide better handling.Stainless steel tubing makes for a clean engine compartment.An Optima Battery was relocated to the trunk. Zoops Econo Line serpentine pulleys and brackets are used. 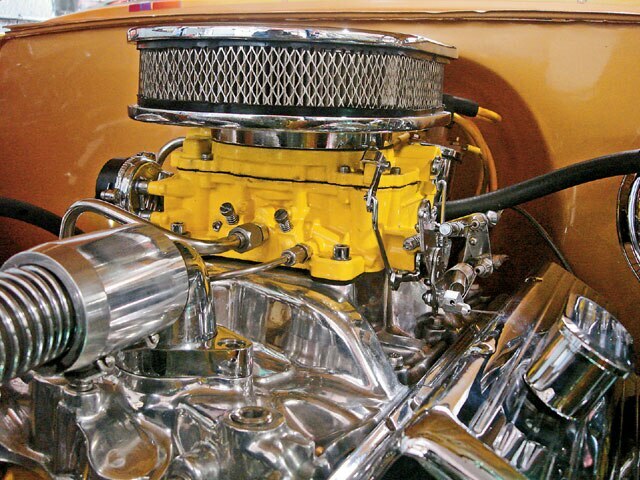 A Professional Products aluminum intake and Edelbrock carburetor feed fuel to the hungry small-block.